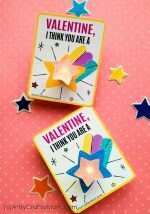 These DIY Valentine’s Day Gifts for Teachers are perfect for kids to make to show their love and appreciation for their teacher. After all, they deserve it! Many parents complain that their kids drive them nuts when they’re home. Now, most of these parents have two, or maybe three kids. Now imagine what it would be like to handle 20 such kids, for 6 hours a day, standing all the time. Well, that’s what teachers do!! Teachers are among the most under-appreciated part of our society, especially considering they’re the ones shaping the next generation, along with parents. So it’s only right that kids and parents show their appreciation and love, and what better opportunity than Valentine’s Day? So let’s show all our educators how much we appreciate their hard work – whether it’s your daycare provider or your child’s class teacher. 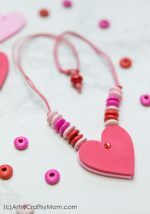 Here are some super-easy DIY Valentine’s Day Gifts for Teachers that even little kids can make! These succulent jars are not just pretty, they’re also useful! They require little maintenance, which means teachers can keep them on their desks and enjoy them all year long. Check out the instructions to make these at Yesterday on Tuesday. These cute baby unicorn bookmarks would be perfect for a daycare or kindergarten teacher! 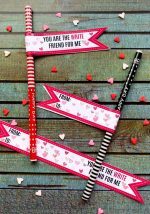 You can make these in multiple colors for different teachers too. A free template is available for download, after which it’s just a matter of filling in the details! 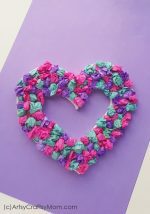 My Creative Days has a cute craft for burlap Valentine bags, which you can fill in with pretty much anything – lip balms, nail polish, bath bombs or some cute stationery. And if you’ve got time, you can even put in a cute little gift like a clay teddy bear. There are sooo many things you can do with mason jars, and as Happy Go Lucky shows us, they’re ideal for Valentine’s Day! Fill in a clean jar with heart shaped chocolates and attach the free printable tag on top for a super easy but cute gift. 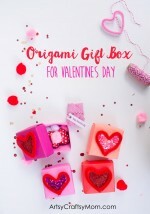 This DIY gift idea from Eighteen 25 just screams Valentine’s Day doesn’t it? The picture here features pink, white and red M&Ms, but you can also try marshmallows or candy hearts. Don’t miss the little heart on the lid too! A teacher’s daily cuppa is what gives her the strength to get through the roughest days, so why not remind her that it’s all for love with a cute mug? The Idea Room has a tutorial for a chalkboard mug that features a pink writing area, as opposed to the usual black. Every teacher is bound to be in the middle of a book, so why not help her keep her place with these adorable thumbprint bookmarks? 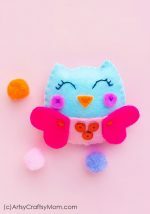 They’re something kids can make all by themselves and it will bring a smile on their teacher’s face every time she sees those little thumbprints! Every teacher needs a place to store all her pens and pencils, which is why this pencil holder gift from Liluna is ideal for Valentine’s Day! The printable is punny and perfect – don’t forget to write the ‘write’ by hand! Teacher’s hands do a lot, and they deserve some extra TLC. Tiny Oranges has a clever idea for gifting your teacher with a hand lotion or cream, with your child’s handprint – giving her a big ‘hand’ for all her hard work! A homemade sweet treat is something no one can resist – even teachers! Where Imagination Grows has the recipe to make a yummy white chocolate candy bark that looks so festive and tempting. Let the kids help make it so they can feel more involved. Seriously, for most of these gifts, you need little more than a printer!! Pair this with a card to make it more impressive; take your pick from a quilled balloon card, a yarn card, or some easy last minute cards. Add a pretty flower and watch your teacher’s face light up with joy! 20 Awesome Teachers Day card Ideas with Free Printables! Yes, teachers are the people we need to appreciated and respected a lot. But it is not the case in our society.